The biggest new name in the international drinks scene. In Cyrillic. 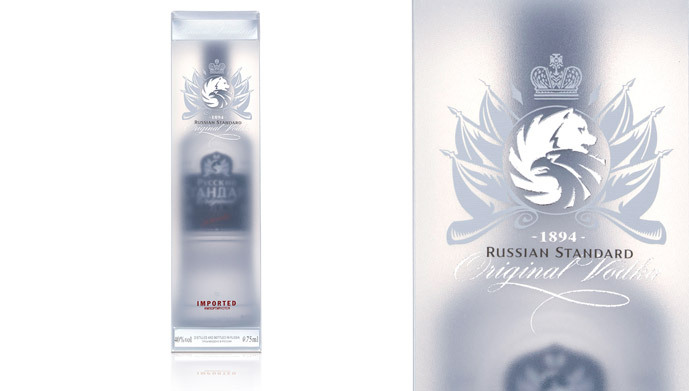 To create a super-premium vodka brand that was authentic and stylish, that appealed to Russian and international audiences and could compete with well-established brands. A key insight was that consumers favoured spirit brands with a clear and compelling story. The new brand had to convey ‘New Russia’ while capturing the personality and traditions of its homeland. 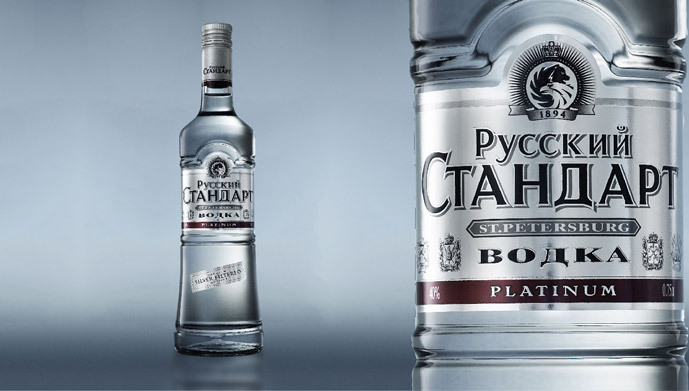 We decided the name should always appear in Cyrillic script, guaranteed to catch the eye in any European supermarket, while reinforcing the vodka’s authentic Russian provenance. 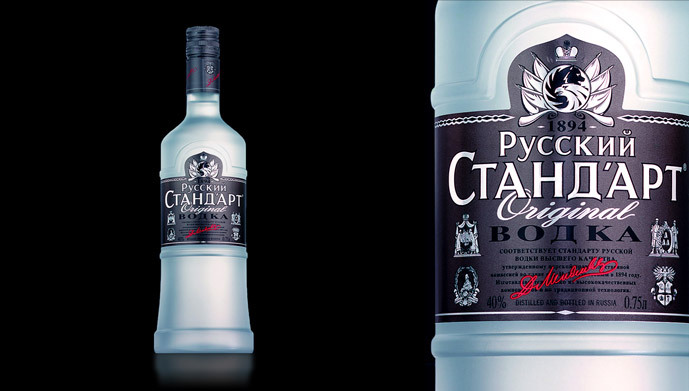 Our inspiration for the bottle came from the historic cathedral bells of St Petersburg. 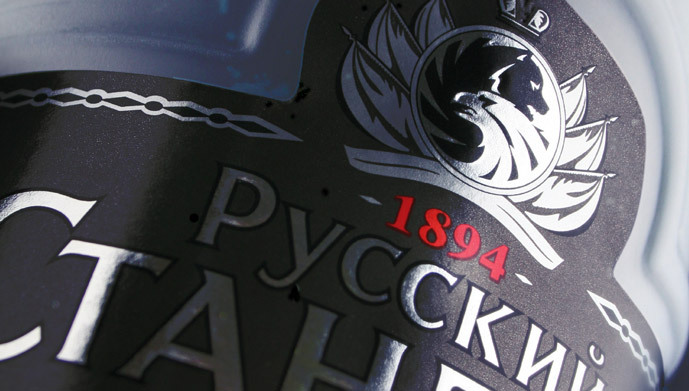 The label, the first complete wrap-around label ever created for a spirits brand, incorporates Russian crests and our highly stylised bear and eagle logo. Consumer insights, brand strategy, naming, research, brand identity, packaging design, retail communications, merchandising, brand management.